Posted by Jon Ward in eye tracking, Glasses, Market Research, Marketing, Shopper Research, Technology, Tobii, Usability & UX. Potentially this could prompt a simple answer and we list some obvious things and limitations of eyetracking as a technology – but I think the bigger question is “will eyetracking add value to what I am doing?” as it isn’t always obvious where the return on investment is from the data that eyetracking gives you. There are actually very few situations where you can’t eyetrack people (or indeed some species of animal!) – for example recently Tobii equipment was used to eyetrack a F1 driver (https://www.youtube.com/watch?v=zjkUUMZnTnU) where the latest technology readily mounted inside the very snug and close-fitting helmet of Nico Hulkenberg. Staying with a sports theme Zoe Wimshurst from Southampton Solent University used the Tobii Glasses on a gymnast who performed a number of backflips while the equipment not only stayed in place, but also remained accurate thanks to Tobii’s 4 camera binocular platform (https://twitter.com/ZoeWimshurst/status/760472938499936256). And while we are name dropping I eyetracked Cristiano Ronaldo some years ago (https://www.youtube.com/watch?v=2NcUkvIX6no) with a previous generation platform. Sports is one thing, but what about something different… how about primate research, yup – we can tick the box there as well! 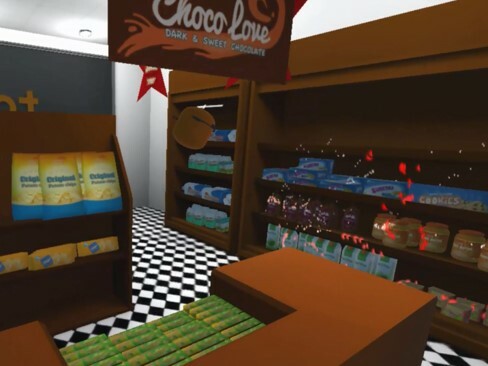 For example some trials we did with Edinburgh Zoo (http://www.living-links.org/2012/11/), and the typical uses of consumer shopper and online research, psychology, linguistics and infant research are all areas where eyetracking is heavily involved, and this is of course now developing into the virtual world, mounting systems into VR and AR units for the next generation of these fields… not to mention interaction within gaming – both user testing and for control applications (http://www.tobii.com/xperience/apps/the-division/). So you might say “great PR but what does that give us apart from a YouTube video” – well lets look at some examples, starting with F1 – if by watching the eye movements and point of gaze of a F1 driver we can shave 0.1 seconds per lap from a 58 lap race, we gain 6 seconds. In the Australian GP 7 drivers (from the 16 that finished) could have gained a position with this advantage, one driver could have jumped 4 places – gaining 7 points in the drivers championship in the process. For a footballer, releasing the ball 0.25 second earlier because you have the ability to read the field more efficiently visual performance training could be the difference between beating the offside trap and scoring or dropping points in a multi-billion pound race to the title. In elite performance the smallest of margins can mean winning or losing, and in today’s environment that could mean the difference between fame and fortune, or fading into obscurity. If we look at medical or clinical uses, being able to identify things like autism at an earlier stage (using non-verbal responses through measuring eye movements) allows parents and clinicians to adapt and plan a child’s education to minimise the impact on their development and lets the family be more prepared moving forward. Building up databases of typical and non-typical developing children from all walks of life both in and out of the lab allows milestones to be measured, new learning or rehabilitation techniques to be developed. Being able to extract information without the requirement for self reporting or verbal communication breaks down barriers that would otherwise mean that diagnosis may not be available for weeks, months or even years later otherwise. Using the latest techniques for training and both real and virtual presentation of scenarios means that we can now train healthcare professionals, surgeons and patients in situations that could be life threatening without the risk, and by understanding totally how they interact and engage gives us insights never before available. When looking at process management, health and safety or manufacture there are always people in a workplace that are ‘naturals’ at what they do, they have either adapted to their task very comfortable and excelled, or more likely through repetition and learning have become expert. Using eyetracking we can observe how these people operate, understand if and how they anticipate next steps, how they scan and search for elements or their situational awareness. Next we bring on the novice or the person to improve, observe them and compare them to our experts, guiding their interactions with a proven benchmark. An accident at work can be costly both in financial and possibly human terms, so use a simulator, VR environment or test area and monitor people’s actions and movements – and pre-empt possible bad situations. Does that fork lift driver check either side of the load often enough? How is that member of the QA team better at spotting defects in products – is their search strategy different? What makes that soldier better at finding ground disturbance in the field and locating IED’s? 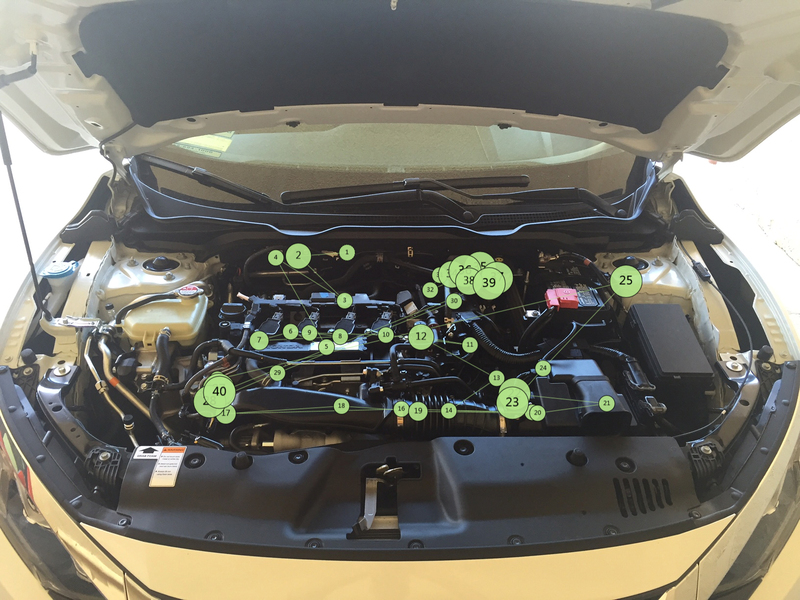 How can we be sure a mechanic checks every inch of an engine during a service and a vehicle is safe to use? Let’s think about consumer research – a mainstay of eyetracking and an ever growing market place. With the adoption of mobile devices on-screen real estate is smaller, we consume information quicker and we need to be more efficient at being noticed, getting our message across and of course helping the customer with their journey. A 1% increase in click-throughs, sign up or user experience could mean huge increases in a companies KPI’s but often selling in ideas and changes to a stakeholder can be challenging. 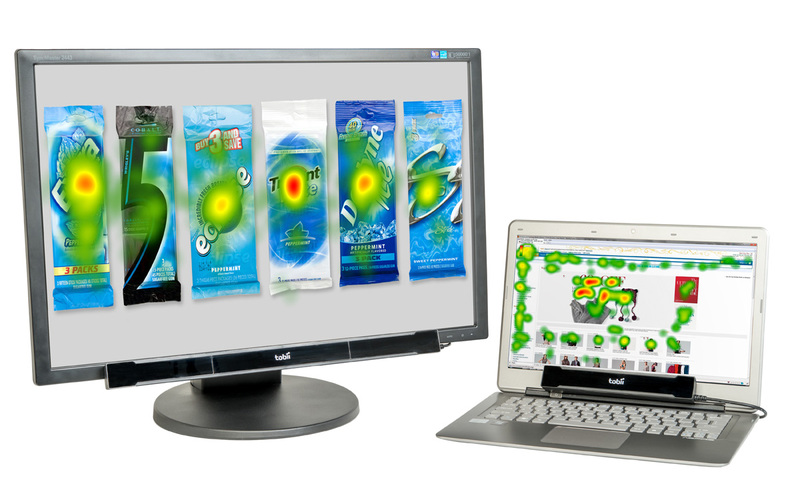 Eyetracking provide a very visual way to demonstrate why customers aren’t (or indeed are!) doing what was expected on a website, image or menu system. Jumping into the retail space we are bombarded with products, signage, offers, POS, noise, colour and a whole lot more every time we walk through a shop entrance, or a mall, or a petrol forecourt – consumers self reporting their actions always has its limitations and this is even more evident in such a busy space as a retail outlet. Our eyes are digesting heaps of information, our brain is processing and discarding things that aren’t pertinent to the task and consumers simply can’t remember, never mind verbalise, all of this at the rate it is going. Unlock the subconscious by measuring the bodies leading input device – the visual system. Again small performance gains at the checkout in one store quickly multiply to large increases across a brand, retailer or globally. What distracts the shopper or draws their attention away from where we want them to look? What attracts them to our competitors? What elements do they use to navigate, make a decision or determine quality? Can people navigate around the virtual store before we invest in deploying the new layout? Think about your project, objective or study – is the interaction with the stimulus, product, environment or other people of interest? Do you want to know what and when they use visual information at any stage in the trial to inform the decision-making process? Do you want to understand why someone is better at a task than someone else? Do you want a very visible way of demonstrating a participants behaviour to a stakeholder? If the answer to any of these questions (or many more similar to these) is yes, then there is value in eyetracking for you. Speak to us about methodologies for your study, the different types of equipment on hand and how we can help you get the insights you need. 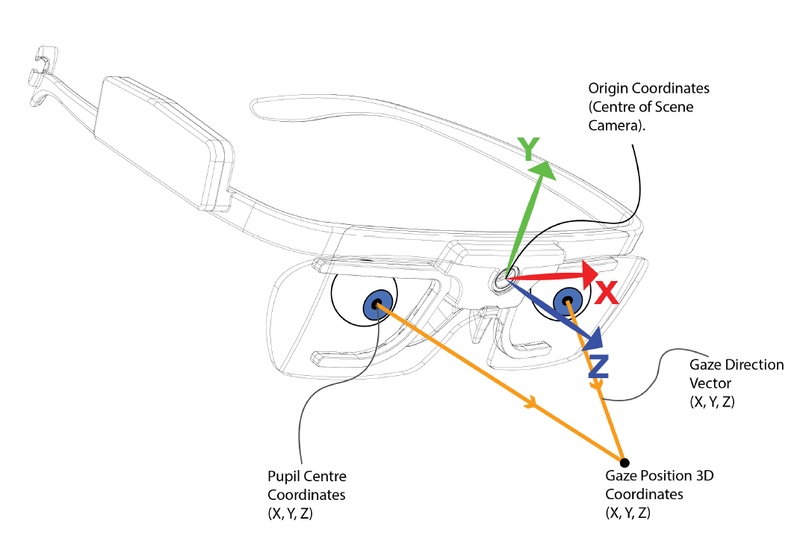 Posted by Jon Ward in eye tracking, Glasses, Technology, Tobii, Updates, Usability & UX. 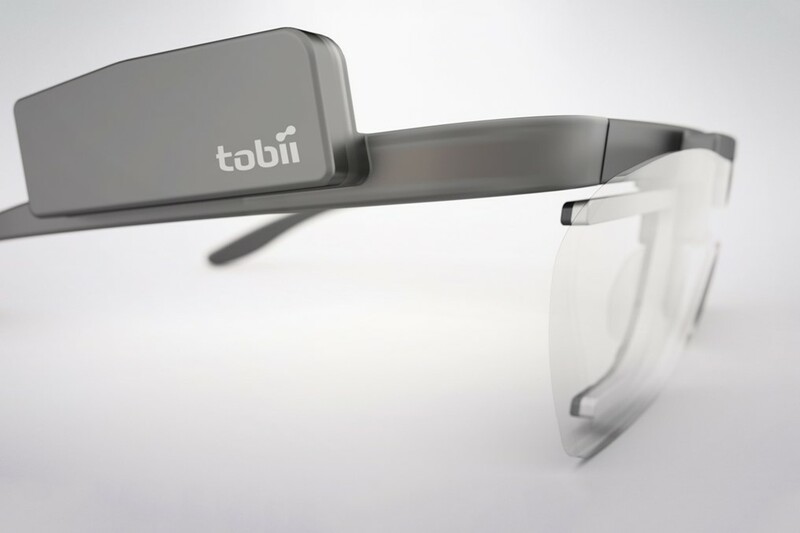 Today Tobii and Acuity are proud to announce the next generation worn eye tracking system. 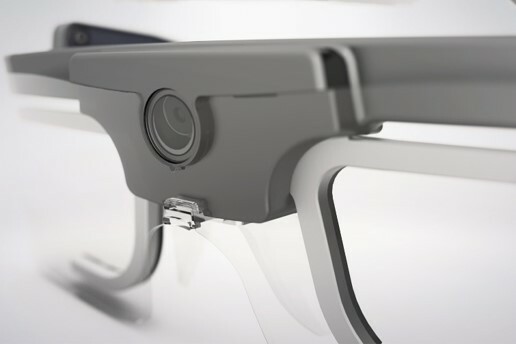 The Glasses 2 platform succeeds the hugely popular Tobii Glasses and is the culmination of years of research and development, interviewing and understanding customer needs and takes advantage of the very latest technological developments. Does the frame feel natural and does it interfere with peripheral vision? What is the field of view of the system, can I track everything the customer looks at? What is the glasses slip or they move them? Can I read what they are reading? Can I watch what they do during the testing, like I do with my screen based eye tracker? To answer question 1 take a look at the image below, showing the new Glasses 2 frame, the arms and design are very similar to a normal pair of spectacles, the lenses are clear, with no large frame to restrict vision or blinker you into looking forward. The eye cameras are mounted very discreetly in the arms reaching down from the bridge, so not only are they a clear and crisp design, they don’t obscure your field of view, don’t blinker your peripheral vision (essential in driving / sports / shopper studies) but the user will also be less conscious about wearing the frame in public, meaning more naturalistic behaviour. So we move onto the field of view of both the scene camera and the eyetracking data. Until now mobile eye tracking platforms have used 1 or 2 cameras (either monocular or binocular) to track the users eyes, Tobii have gone with 4 cameras, two per eye and the benefits are immediately obvious. By having two cameras per eye you instantly have a much wider degree of movement on each eye that can be tracked, not only that but by using Tobii’s patented 3D eye modelling the system can also compensate for slippage of the frame – something that has been a curse of eye tracking studies when shoppers move the frame, sports people move quickly or when testing with children who interfere with the frame. Of course being able to track a wide range of movement is not good unless we can visualise the data on the scene camera video, and here we see a huge 675% increase in the number of pixels over the Glasses 1 platform, meaning that the camera is running at a HD resolution of 1920×1080 pixels. 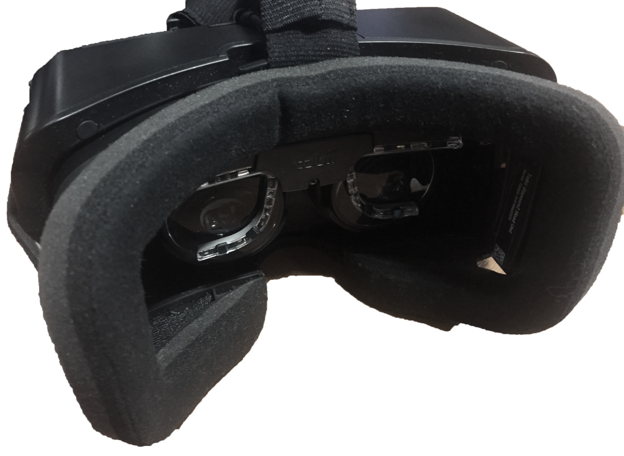 To ensure that the field of view that is tracked maximises the rest of the platform, the camera field of view has been vastly improved to give 90 degrees diagonal FOV, around 25-30% larger our competitors products, the un-obscured frame also means that users have a visual field of view of 160 degrees – so testing is more natural, across a wider field of view in every dimension! 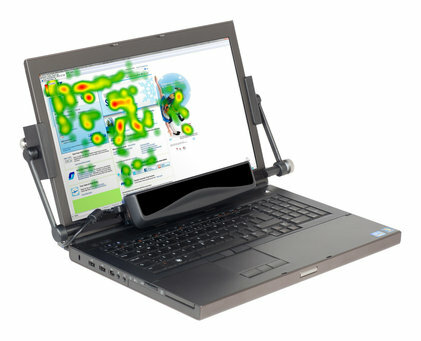 With this increased field of view, high definition camera and dual camera binocular tracking mobile testing, packaging, reading studies and more all spring to life with the moderator being able to see every interaction, and this can also now be done live via either a cable or wireless connection to a Windows PC or tablet – opening up endless possibilities for testing, and the ultimate in flexibility. With the basic system allowing for post testing recording via the recording device the entry price point is incredibly attractive, and users can upgrade the system as their needs evolve. 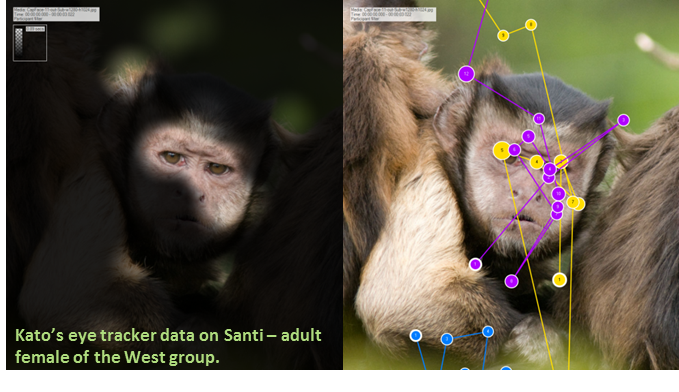 So the 5 key questions we get asked are all ticked off and Tobii haven’t stopped there, there is a new gaze mapping platform allowing for aggregated data across multiple participants, visual and statistical outputs and A/B comparison testing. There is also of course a microphone to record user audio, the scene camera has been angled to ensure that close interactions are captured, a gyroscope and accelerometer embedded for future development and interactions and of course world class eyetracking accuracy and precision! We are expecting to ship units in October so please contact us to arrange a demo or for more details or visit http://www.tobiiglasses.com. Posted by Natasha French in eye tracking, Market Research, Shopper Research, Technology, Tobii, Uncategorized, Updates, Usability & UX. It’s been a busy couple of years with exciting developments here at Acuity. Key to this was the launch of Acuity Intelligence just over a year ago and the addition of Technical Director Dr Tim Holmes. I’ve had a few clients contact me, curious to find out the difference between the two companies: Acuity ETS and Acuity Intelligence (ETS and AI for short!). Reflecting on 2012 and what it held for the group, I thought the New Year might be a good time to clarify the difference between both and explain why 2013 is going to be even better for our clients. Most of you reading this will already be aware of Acuity ETS. You’ll know our Directors and hopefully come to us when you have an eye tracking sale / rental requirement. Alongside this, ETS also offer training and support, giving you the tools and ‘know how’ to complete your own independent research effectively and use scientific technology to answer difficult commercial questions. Now, if any of you know our Directors well, you’ll also be very aware that they are technology geeks (this enthusiasm is a must for anyone that joins the Acuity team!). With a (slightly obsessive) thirst for new tech, it wasn’t long before other tools that could supplement gaze data were also found by the guys. Wanting to offer these to clients too – the idea of Acuity Intelligence began! Customer tracking / counting technology, facial and emotional recognition solutions, non-intrusive biometric sensors, browser based eye tracking to name but a few, the supplementary offering expanded quickly along with the AI team. The end of 2011 welcomed a new company Director and Vision Scientist, Dr Tim Holmes. Actively involved in scientific research as a university lecturer, Tim was the catalyst for AI offering additional research and consultancy services based on real science. Services which include education about why technologies such as eye tracking and galvanic skin response are important measures of consumer attention and emotional engagement; the design of rigorous and innovative research projects that maximise the value of client investment by using the right combination of methodology and technologies to answer client questions; and innovative analysis and presentation of results that are scientifically accurate, replicable and focus on the meaning of the data, rather than just the numbers themselves. With Matlab and E-Prime consultancy offerings, AI also supports experiment development and data analysis in a number of Universities in the UK and beyond and is actively involved in cutting edge research at a number of institutions. In addition to all this, AI now also has product integrators and software developers in house who are feverishly beavering away on some truly unique off-the-shelf solutions as well as bespoke solutions tailored to the needs of specific customers! Both sister companies offer something very different but both work together seamlessly on your behalf to provide you with a more complete research solution for 2013; all equipment rental, technical support and analysis or simply the technology and knowledge that will enable you to complete your own independent research well. We hope that by extending our offering to you, we can offer a more flexible way to make use of new technologies that add real scientific value to your research. 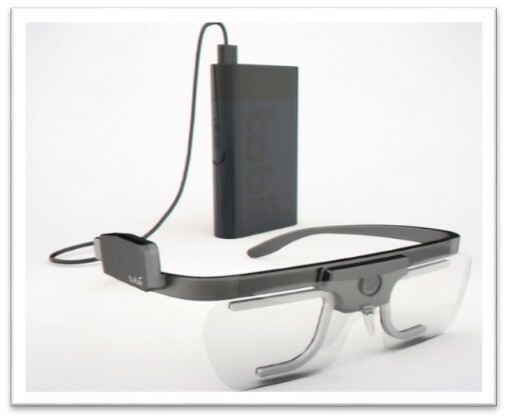 Posted by Jon Ward in eye tracking, Glasses, Market Research, Shopper Research, Technology, Tobii, Usability & UX. Acuity are proud to announce their latest partnership with French company, TEA. By adding their products to our portfolio we can now offer a range of sensors to monitor GSR, sEMG, heart rate, acceleration, orientation and gornio / torsio movements – and more! Utilising a simple but powerful interface the Captiv range of software allows multiple data sources (video, EEG, eye tracking, physiological sensors, etc) to be synchronised and analysed using powerful a coding mechanism giving you instant access to the data. The Captiv L2100 software allows post event coding of a video stream and is ideal for sports science, ergonomics, health & safety, zoological studies and more – allowing the user to quickly isolate events, transitions and elements of interest. It can also be used to analyse data captured with the L7000 software which opens up great opportunities for commercial and academic institutes to capture and share data and equipment accordingly. The L7000 software allows observation and analysis across a wide range of platforms and data sources – including live integration with Tobii and FaceLab eye tracking units. Post synchronisation of almost any other eye tracking platform is also possible meaning this is a great addition to any research facility. As well as offering the powerful coding tools of the L2100 software, you can also add the T-Sense range of sensors to your projects, meaning GSR, heart rate, FSR, sEMG and more can be captured and synchronised to your other data streams – including up to 10 video sources! This gives you the power and flexibility to observe a user from various angles, monitor multiple users in an environment, study team dynamics or measure a user physiological state during computer gaming… and more! With the capabilities to record locally to a PC or to the T-Log recording device (which is around the size of a 1st generation iPod) the system is quick to deploy and incredibly portable. As you can see from the image – the sensors are incredibly small and lightweight, so the user is barely aware of them during testing. The system is fully customisable and additional sensors can be bought ad hoc to suit specific requirements. 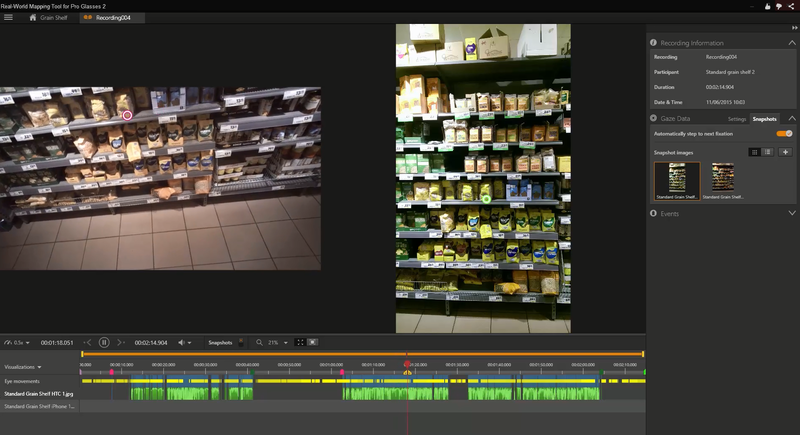 We have recently used these sensors for projects with the National Geographic channel, BBC Radio 4 and Oxford University and have been massively impressed with the flexibility, data and capabilities of the system. Posted by Jon Ward in Advertising, eye tracking, Market Research, Marketing, Shopper Research, Studio, Technology, Tobii, Usability & UX. General fixes : There have been a number of stability and resource issues addressed in line with updating the database type to accommodate the new data from the biggest new feature in 3.0 – dynamic areas of interest. New text export tool : For customers who like to play with the raw data and export data sets to packages such as SPSS, Matlab, R and so on there is a much more flexible and powerful text export tool. Not only do you have more data sets to choose from, you can also create templates of the reports you like and save them for future use – much as you can do with the fixation filter settings since the update in 2.3. Remote viewer (Enterprise edition) : The old Studio Remote Logger has been replaced with a sleeker, more stable remote viewer. Unfortunately the logger functionality has gone – however it has been replaced with a better, solid, lightweight viewer that has much better buffering and stability across a network – sending user cameras, screen data, gaze data and mouse interactions over a network. Dynamic areas of interest : Areas of interest now have a life of their own! You can reshape, resize and move areas of interest to compensate or track movement in videos, web pages, Glasses recordings and more – the powerful tools allow you to quickly manipulate the AOI as you wish, press a button and get your statistics for the dynamic interaction, or indeed group them together using the AOI tools to get data aggregated across all sorts and types of stimuli! Along with all these features there are also some visual changes to the GUI and a few little bits and pieces which all add up to a great update for the worlds market leading eye tracking software! See the data sheets for more information or contact us on sales@acuity-ets.com to find out more!